Warmest greetings from the Organising Committee of the 36th Multiple District 308 Leo Forum 2009.!! Leo Forum is an annual event organized for Leos throughout Malaysia, Brunei and Singapore with the objectives of providing a platform for the Leos to meet, and arena to share, exchange ideas and knowledge and to recognize the deserving Leos and their clubs for their outstanding performance. We would like to invite all of you to this forum. Registration closes on 31st March 2009. KB's IR night is coming soon and you don't want to miss out. Parody Night's the theme so dress up! It's time to ring in another Chinese New Year that everyone has been waiting for. 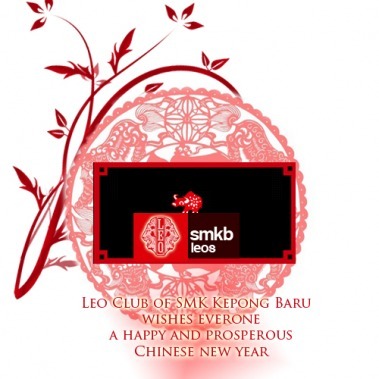 As the year of the Ox begins, we from the Leo club of Smk Kepong Baru wishes everyone a happy and prosperous new year! Happy holidays and good luck for SPM candidates! The long awaited camp is finally here! Those who are interested in attending the camp can download the details here. Also , for further enquires please refer to our president , Leo Fong Hsin Yung. 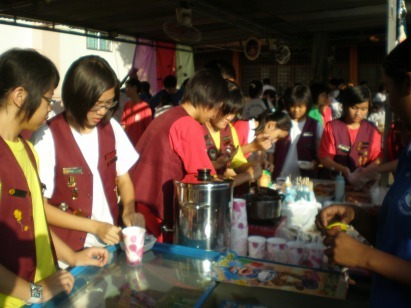 On the 12th of July 2008, Leo Club of SMK Kepong Baru held the following activities by a total of 33 of its club members with the goal of raising funds for the club during the school open day. 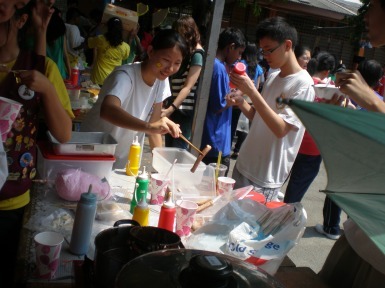 The first activity which took place at the school assembly ground and field was a car wash. This activity was held from 8.00 am to 10.00 am by a total of 29 club members under the leadership of team leader, Leo Benedict Lim. 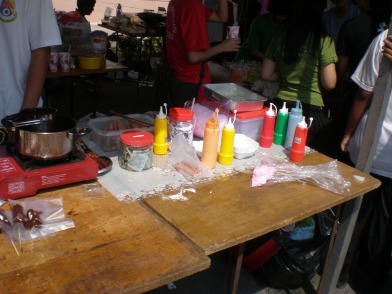 The Leo members were divided into several groups with each group carrying out a different task. This ensured that the car wash activity was carried out in an organized manner. Approximately 35 customers consisting of teachers and parents alike queued up for this service at RM6.00 per vehicle. All the members of this team worked well and delivered full satisfaction to all its customers with clean, gleaming cars. at the front gate of SMK Kepong Baru. 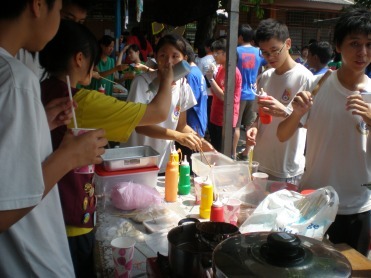 Parents who arrived for the school open day were attracted to the sale of refreshing ice cream on a hot day at a reasonable cost. 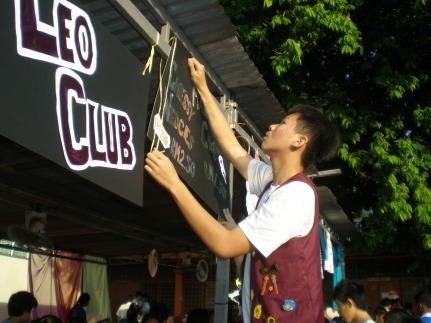 This activity was conducted by 4 Leo club members under the leadership of team leader, Leo Low Tze Chien. 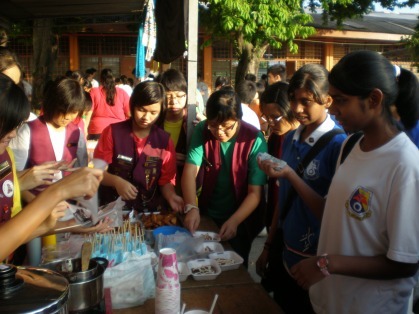 Leo Club of SMK Kepong Baru managed to raise RM during the above activities. All the participants worked hard and managed to make this event a success and are patiently awaiting the next opportunity to participate in events for charity under the Leo Club. We serve with passion and care. 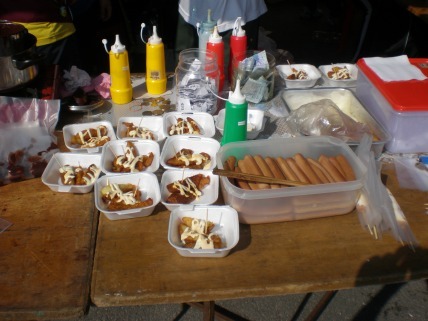 The SMKB Leo Club sold Cheesy Wedges, Cheesy Dogs, Marshmallow coated with Chocolate and Sparkling Soda on SMK Kepong Baru's Carnival Day. To those who have not pay for the name cards please pay RM33 to our president , Leo Fong Hsin Yung preferrably asap.